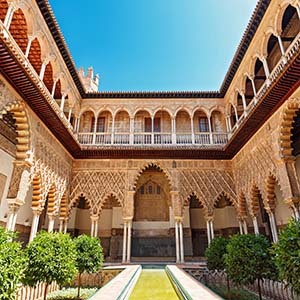 The online travel guide with all the information for your stay in Seville in Andalusia. All tips for activities and attractions in Seville in Spain. The city with the world famous palace of the Alcazar. 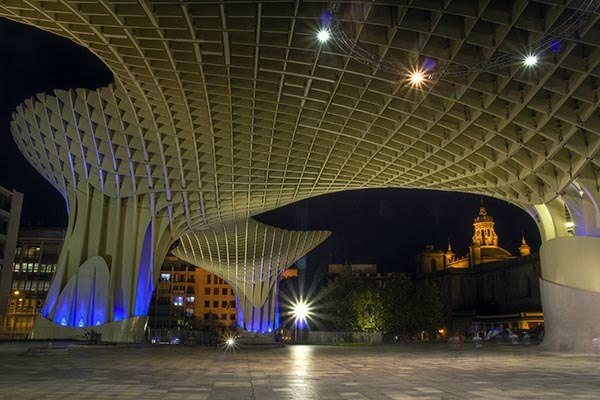 Welcome to the online travel guide of Seville! 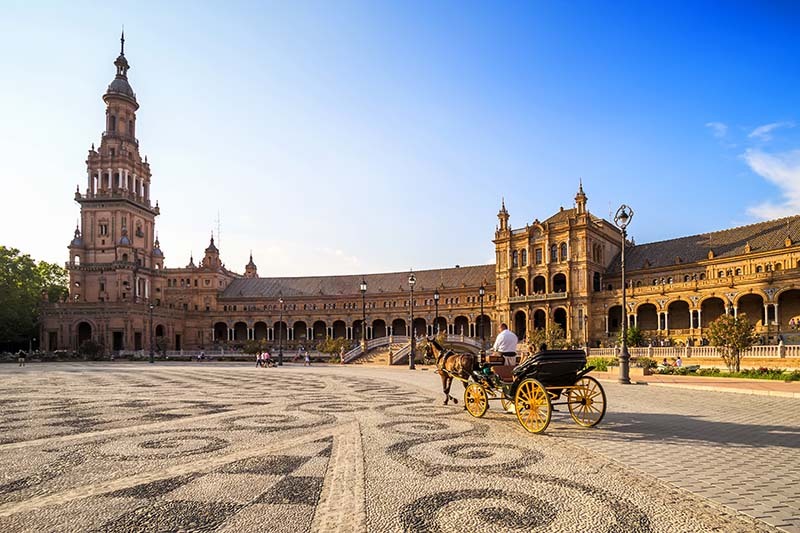 Seville is the capital of the Spanish region and province of Andalusia and has about 700,000 inhabitants, making Seville the fourth largest city in Spain. 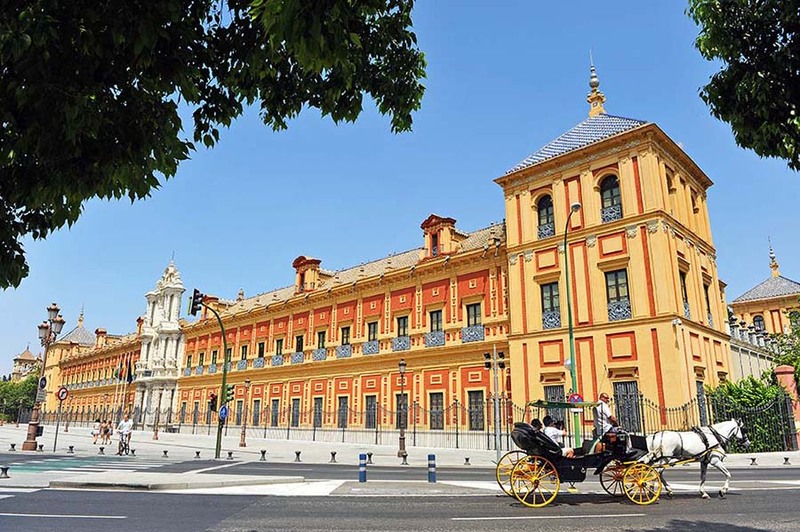 In the cultural, political, economic and artistic realms, Seville is the most important southern Spanish city. Seville has the largest historic centre of Europe. 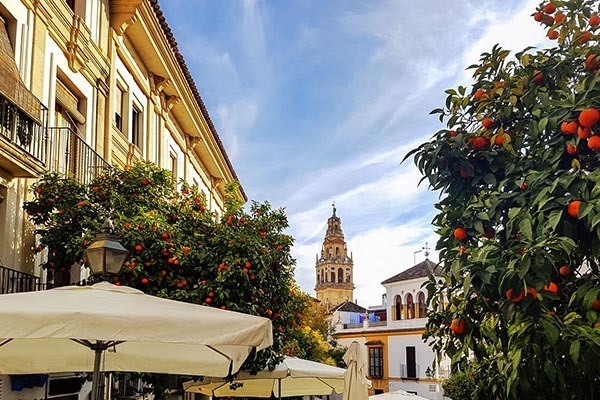 The historic city centre of Seville offers many attractions, such as the Royal Palace Alcázar, the Seville Cathedral with the Giralda Tower and the Torre del Oro at the river. Alcazar palace in Seville (stock.adobe.com/Srdjan)This beautiful city is located on the Guadalquivir river. 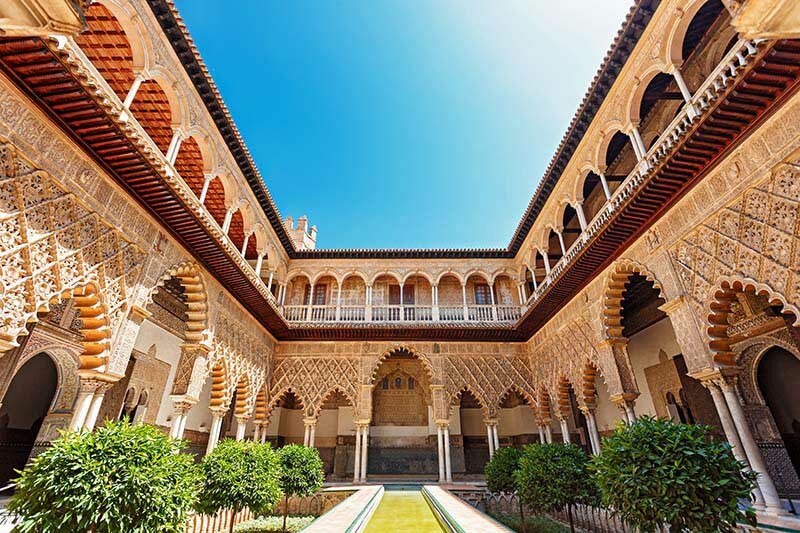 Thanks to the many historical highlights, Seville is seen by many people as the most beautiful city of Andalusia and Spain. Conclusion, considering all the Arabic influences, the narrow winding streets, parks and the large historic centre (Barrio Santa Cruz). 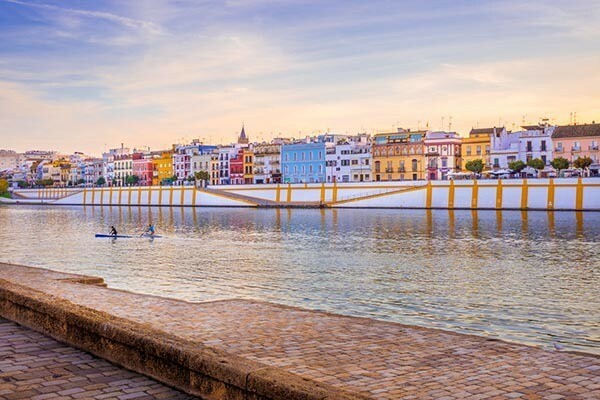 Barrio de Triana, a district of Seville is seen as the birthplace of flamenco, the typical Spanish dance and music. 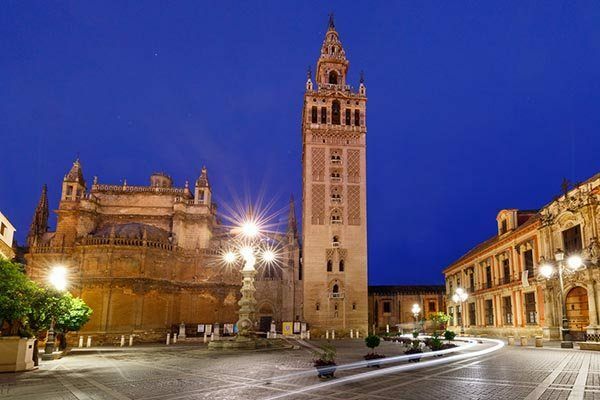 Seville is famous for its Mudéjar architecture, which is a mix of Islamic and Catholic architectural styles. 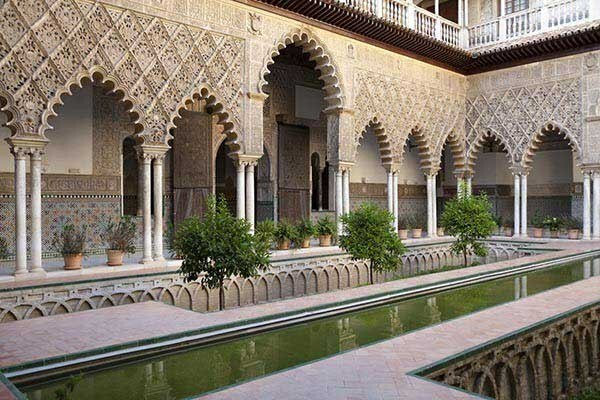 After the Catholics defeated the Moors, who had ruled over Seville for more than 500 years, they kept many beautiful buildings intact like the Alcazar Palace. Sometimes they gave it their own Catholic twist, like the cathedral with the Giralda. 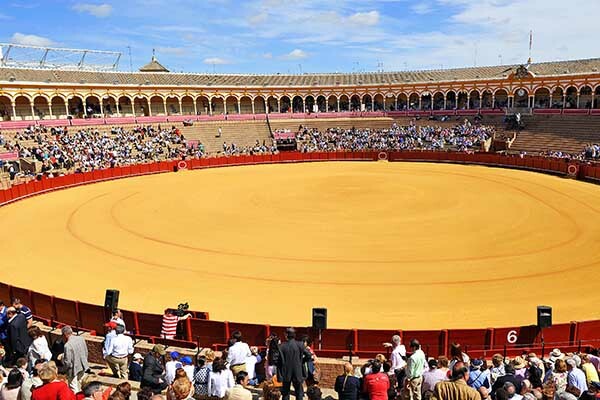 You would be lucky if you could visit Seville during the Semana Santa, the Holy Week before Easter, or with the Feria de Abril, the festival week. You would get to experience the traditions of Sevillians during these events. The inhabitants of Seville have their own typical non-official dialect, called sevillanos. Even for other Spaniards, the inhabitants of Seville are not always easy to understand. Seville has a lot to offer during your city trip. Enjoy the beautiful sights of Seville, the warm weather, the delicious tapas, long nights, ancient culture, temperament and flamenco. 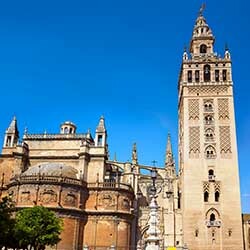 Seville is a city where you can easily spend a full three days visiting all of the sights. 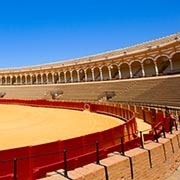 As a result, it is the ideal city to visit for a longer stay and for excursions to the other highlights of Andalusia. 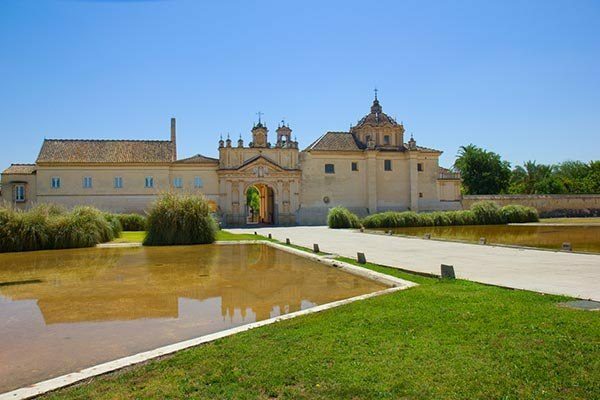 Seville has a Mediterranean climate with very hot summers. The temperatures in Andalusia regularly rise above 40 degrees Celsius and the winters are generally very mild. At the hottest moments of the hottest days of the year, the streets of Seville are almost empty. The locals then keep siesta and tourists are miles away at the beach or swimming pools. You'll regularly see thunderstorm clouds over the city during the months of September and October, but these are usually followed by sunshine. The ideal time to visit Seville is in spring. Seville blooms with jasmine and orange tree blossoms. Where is Seville in Spain? 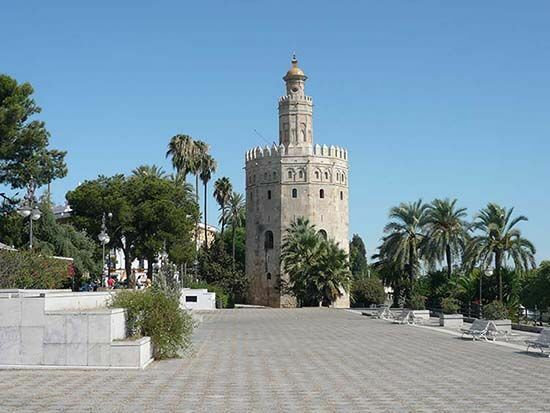 Seville is located in Andalusia 122 km from Cadiz, 141 km from Cordoba and 205 km from Malaga.